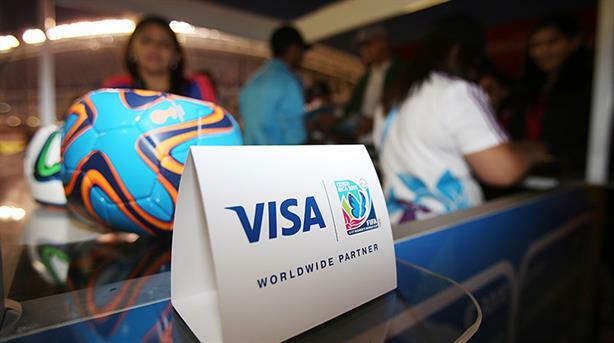 Visa has threatened to look again at its sponsorship of FIFA if it fails to put ethical practices in place, while other sponsors have also expressed serious concerns following the most recent scandals at the crisis-hit football body. On Wednesday morning, Swiss authorities arrested several FIFA officials with plans to extradite them to the US on federal corruption charges. Hours later, Switzerland began a separate investigation into the awarding of the 2018 Russia and 2022 Qatar World Cups. In a statement issued last night, Visa said: "Our disappointment and concern with FIFA in light of today’s developments is profound. As a sponsor, we expect FIFA to take swift and immediate steps to address these issues within its organisation. This starts with rebuilding a culture with strong ethical practices in order to restore the reputation of the game for fans everywhere." The company said it was "important that FIFA makes changes now". "Should FIFA fail to do so, we have informed it that we will reassess our sponsorship." Another sponsor, Coca-Cola, said: "This lengthy controversy has tarnished the mission and ideals of the FIFA World Cup and we have repeatedly expressed our concerns about these serious allegations. We expect FIFA to continue to address these issues thoroughly. FIFA has stated that it is responding to all requests for information and we are confident it will continue to co-operate fully with the authorities." Adidas said: "The Adidas group is fully committed to creating a culture that promotes the highest standards of ethics and compliance, and we expect the same from our partners. Following today's news, we can therefore only encourage FIFA to continue to establish and follow transparent compliance standards in everything it does." McDonald’s, a sponsor of the 2018 World Cup in Russia, issued a similar response. "McDonald's takes matters of ethics and corruption very seriously and the news from the US Department of Justice is extremely concerning. We are in contact with FIFA on this matter. We will continue to monitor the situation very closely," the company said. Motor company Hyundai said it was "extremely concerned" about the legal proceedings being taken against the FIFA executives "and will continue to monitor the situation closely". It's not the first time this year that major sponsors had expressed concerns to FIFA. Earlier this month Coca-Cola and Visa spoke out against the alleged human-rights abuses taking place in Qatar, where hundreds of workers have reportedly died during construction on 2022 World Cup sites. PRWeek has reported that FIFA’s own comms team is handling the crisis in-house. Yesterday morning Walter De Gregorio, FIFA's director of comms and public affairs, downplayed the arrest of FIFA officials and corporate executives during an emergency press conference. The handling of the events from a PR perspective has been criticised by some crisis comms professionals. Click here for a timeline of the crisis at FIFA.